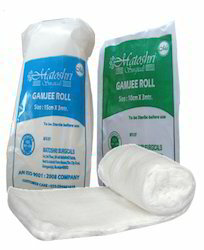 We manufacture and supply best in class Gamjee Roll. Known for their high absorbency, these dressing pads are manufactured in compliance with the FDA set norms by using sophisticated machinery. These products are widely used for the purpose of primary wound dressing applications. Looking for Gamjee Roll ?